The accident occurred at 1700 GMT near the station of Kritzendorf, about 20 kilometres (12 miles) north-west of Vienna. Four people sustained moderate injuries and four others light wounds, infrastructure minister said. 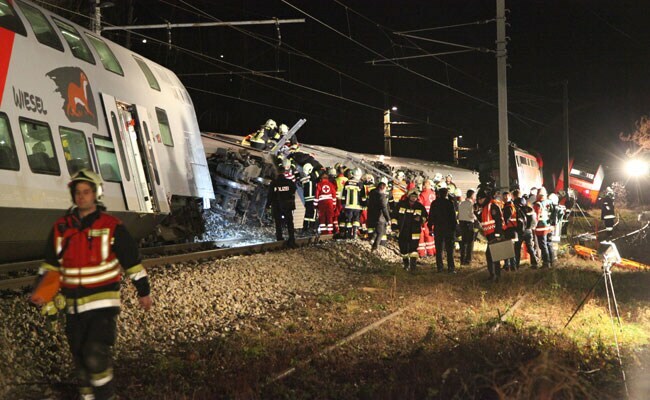 Vienna, Austria: Two regional trains collided late Friday near Vienna, knocking two carriages over and hurting eight people, none of them seriously, officials said. Four people sustained moderate injuries and four others light wounds, said Infrastructure Minister Norbert Hofer. One person airlifted to hospital with head injuries but was conscious. Both trains were emptied of people by 1830 GMT.